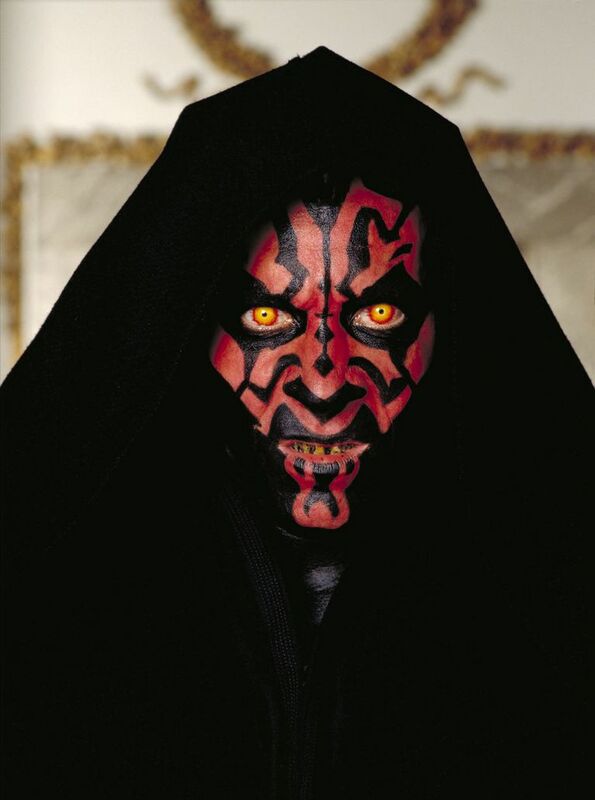 Ray Park as Darth Maul in Episode I. Lucasfilm Ltd.
Darth Maul was the Sith apprentice of Darth Sidious. His frightening appearance and skills with a lightsaber served to warn the Jedi that the Sith had returned -- and also to misdirect their efforts to find and destroy the rest of the Sith. Darth Maul was a Zabrak, part of a humanoid alien race with facial horns. His natural skin color was red; he later acquired black Sith tattoos over his entire body, adding to his menacing appearance. Darth Sidious first encountered the young Darth Maul on his home planet of Dathomir and took him away from his family to be trained in secret. Sidious' cruelty forged Maul into a weapon of hatred -- a weapon for the dark side of the Force. According to the Rule of Two, established by the Sith Lord Darth Bane, the final test of a Sith apprentice is to kill his master. Maul faced this test once his training was complete, but his attempts to kill Sidious were unsuccessful. Sidious, however, proclaimed that the test was about wanting to kill one's master, and so Darth Maul had passed. Darth Maul played an important part in Darth Sidious' plan to take over the Senate. Maul was on Naboo during the invasion of the Trade Federation and followed Queen Amidala and the Jedi to Tatooine. He dueled Qui-Gon Jinn there, but the Jedi Master managed to escape. Maul encountered Qui-Gon and his apprentice Obi-Wan again during the Battle of Naboo. Although he defeated Qui-Gon, killing him, Obi-Wan Kenobi avenged his master, cutting Darth Maul in two. At the time of Episode I: The Phantom Menace, the Jedi had enjoyed centuries of prosperity after defeating the Sith. Qui-Gon's duel with Darth Maul on Tatooine is their first indication that the Sith might still exist. Maul is a formidable opponent; he wields a double-bladed lightsaber and manages to kill a Jedi Master. But the Jedi Council knows that another talented Sith Lord -- Darth Maul's master or apprentice -- must still exist. 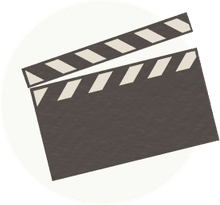 Darth Maul's appearance and actions, however, are a remarkable piece of misdirection engineered by Darth Sidious (a.k.a. then-Senator Palpatine). Maul is silent (his only three lines in Episode I are spoken to Sidious, never to his opponents), and his tattoos help give him a frightening, dehumanized appearance. Maul is what the Jedi are looking for when they think of a Sith; they would never think to suspect a smooth-talking politician. Darth Maul was portrayed by stuntman and martial artist Ray Park in The Phantom Menace, with lines dubbed by Peter Serafinowicz. His appearance was designed by concept artist Iain McCaig, with tattoos inspired by African tribal face paint and Rorschach ink blots.